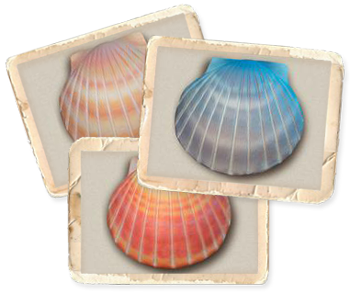 Free biodegradable seashell urn on all burial service packages. An affordable option for those seeking to scatter their love one's ashes at sea on a budget and/or not able to make the sea voyage. We take great care and perform the service with respect and honor. Up to 50 guests are taken 3 miles outside the Channel Islands Harbor for the service aboard the Sunfish, then we take you on a memorable cruise afterwards. Total time is approximately an hour and half. Includes flowers for sprinkling in the water and seashell biodegradable urn. Up to 50 guests are taken to the Anacapa Islands to the Arch for the service aboard the Sunfish, then we take you on a memorable cruise afterwards. Total time is approximately up to 4 hours. Includes flowers for sprinkling in the water and seashell biodegradable urn. 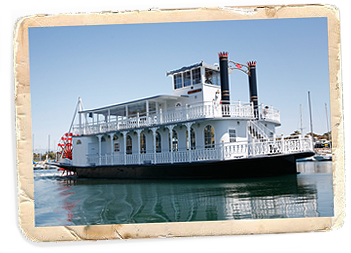 Celebration of Life Luncheon is on the Scarlett Belle where we stay docked for your friends and family to come on board An option to go on a Harbor cruise is available for an extra charge. Includes Ash Scattering Service 3 mile out of the Channel Island Harbor, Celebration of Life Luncheon afterwards with several menus to choose from, soft drinks, coffee and tea, Plasma Screens for Memory Montage, Memory Table with arrangement of silk flowers, Wireless Mic for speeches, Linens and Centerpieces for tables. Upgraded Bar for beer and wine or cocktail available upon request. This urn is a wonderful way to keep the deceased ashes all together inside this shell urn. The Ashes are placed inside the shell urn and placed into the ocean where it floats on the surface for awhile allowing for an easy transition into the ocean while protecting the ashes from blowing away. Engineered to float for approximately five minutes before descending gracefully. Due to several variable and uncontrollable factors, float times may vary.